Kayak Rentals Snorkeling Gear and More! Thank you for choosing the only legitimate Hawaiian owned kayaking outfit on the Big Island . Click Here To Make Reservations Now! This is Iwa ,owner /operator of this fun and exciting business. Some of you may not be aware but the State of Hawaii has issued a Moritorium on non-guided kayak experiences in Kealakekua bay. Hawaii State Parks only allow guided Kealakekua Bay tours at this time. 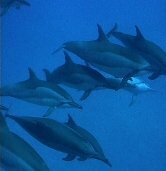 Please do not let that discourage you from trying to experience other beautiful areas of our spectacular island. Whether it is kayaking down the coast out of the place of refuge, or exploring the sea caves of Keauhou Bay and Kuamo'o Bay even the gray sands of Hookena Beach which is also a Camp site. (permits required). Let my family of knowledgeable staff educate you on where to go what to do and how to do it with environmentally conscious behavior and safety of you the passenger of these small vessels. Kealakekua bay will be open to the general public in the future for rentals however there will be permits required and there may be no landing at Kaawaloa. Keep in touch by call us or via e-mail at alohakayak@yahoo.com for updates and permit information about when rentals will be available for Kealakekua bay and the Captain Cook Monument. Aloha and Mahalo for supporting our Hawaiian owned and permitted company. SUP Rentals available daily. Rental period- opening to closing! $60.00 per day- with paddle, leash and instructions on where to go. ***24hr. rentals are good from time picked-up to same time next day. ***Half-Day rentals start at 12 noon to 5pm (closing). 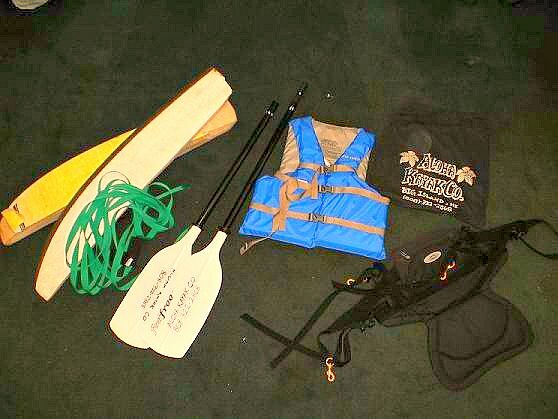 All necessary kayak safety, history and culture orientations. Your Big Island, Kona Kayak Rental includes kayaking equipment, Paddles, Backrest, Life Vest, Gear bag, kayak leash, and car rack system with roof pads and straps which works on any car, convertibles too!!! 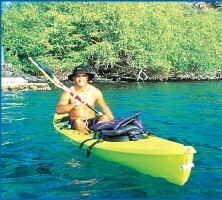 Lots of kayaking and snorkeling products to buy in-store daily. We sell new and used kayaks too! !